Life can be so bleeding from all of the stress, societal pressures, and seeing things through your own cultural lens. Now, you can transcend time, cultural barriers, and even works with this “20/20” Ayahuasca kit. You’ll be able to see the worlds through perfect 20/20 vision. The hallucinations form this kit are very strong, vivid and are life-like. Fresh, Brazilian Ingredients. All of the ingredients in this kit are produced directly in Brazil in optimal and traditional growing conditions. These substances have been used in ceremonies for centuries. Life Changing Experience. Life is interconnected with the rest of the universe. See your life through a different lens and unite with other couples from around the world in different times. For a Quiet Night In. This is not a part drugs. Rather, Ayahuasca is used as a serious experience to unlock the mysteries of life and seek a greater connection with those in the past and future. The “Red Wine” of Hallucinogens. Ayahuasca isn’t like magic mushrooms or magic truffles in that you won’t see crazy patterns and shapes. Rather, you experience hallucinations as if they are real. Visions of Yourself and the Universe. This allows you the perfect 20/20 examination of yourself and the world as well. 20/20 is the perfect kit for getting a clear vision of who you are, what you want to be, and how you fit into the current period of time in the universe. Unlock new worlds and see 20/20 with this extraordinary ayahuasca kit. Anahuasca is known for its strong visions of the bright side and the dark side. The visions tell stories about the drinker and everything else in the universe. Many people don't get visions, however, and experience anahuasca through the other senses. Some people get diarrhea and have to vomit. Peganum harmala. Let 3 to 5 gram Peganum harmala seeds steep for 15 minutes in boiling water on a small fire. Drink the extract after sifting. The seeds can also be eaten without any preparation. Take the drink or the seeds on an empty stomach 15 minutes before eating the DMT-containing plant. Mimosa hostilis. Let 9 gram Mimosa hostilis steep for 15 minutes in boiling water on a small fire. Add some lemon or lime juice. Drink it 15 minutes after ingestion of the Peganum harmala or Banisteriopsis caapi. 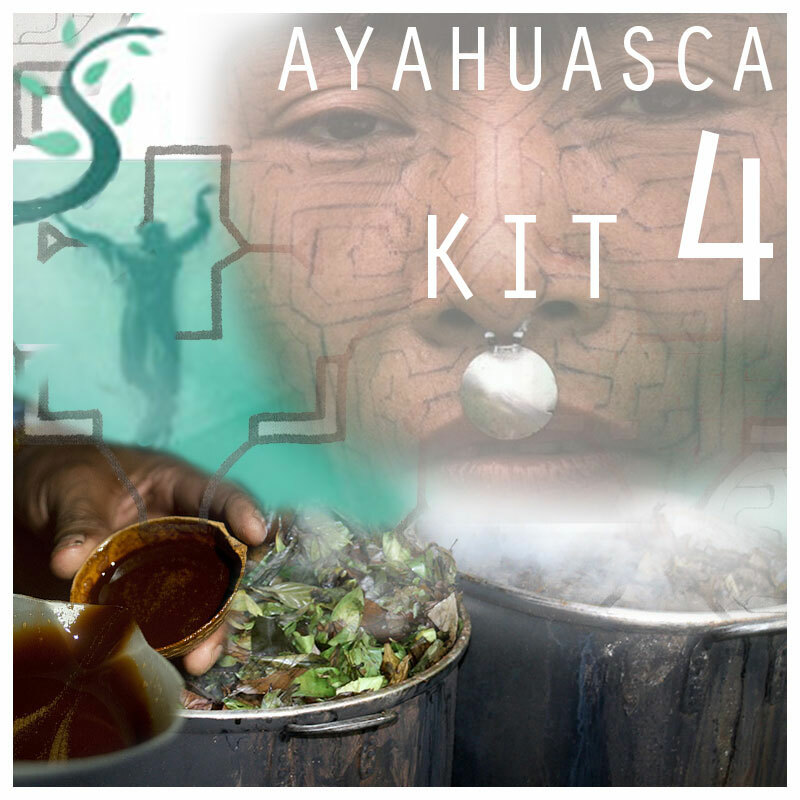 Share your experience about Ayahuasca Kit 4 with other customers. Submit your tips or thought on this product, be detailed and specific.